Banking, financial services, energy, hospitality, healthcare, real estate, hospitality. Early in his career, Tony Elumelu bought Standard Trust Bank. He converted it into one of the top five players in Nigeria. In later years Elumelu played a pivotal role in acquiring United Bank for Africa and transformed it from being confined to a single country to being a cross-continental institution with a presence in 19 countries and with over seven million customers. Elumelu retired from United Bank for Africa after five years and founded Heirs Holdings, a financial investment firm. Through Heirs he acquired controlling shares in Transcorp, a conglomerate with interests in agribusiness, hospitality, healthcare, hospitality, and energy. At around the same time as when he founded Heirs Holdings Tony Elumelo also founded the Tony Elumelu Foundation. The foundation is based in Africa, is funded from Africa and is devoted to promoting excellence in business leadership on the continent – with an ultimate goal of improving competitive pricing in the African private sector. Elumelu coined the term Africapitalism – an economic philosophy that expresses the commitment to the economic transformation of Africa through private sector initiatives. The idea behind the philosophy is that the continent would be transformed through social prosperity and economic wealth created by long-term investments. According to the entrepreneur, Africans ought to take charge of the economy. With a generation of private sector entrepreneurs who possess the tools and the opportunities, it is possible to shape the future of Africa. 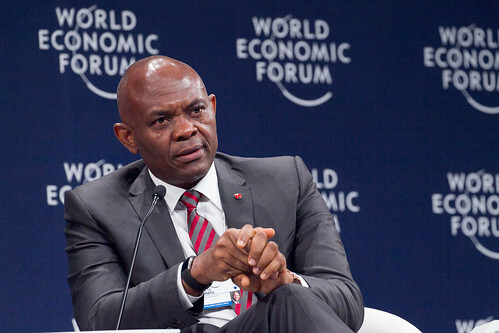 According to Elumelu, Africapitalism is what will drive the continent’s social and economic growth. He uses the Tony Elumelu Foundation to be part of the continent’s growth. The foundation generates solutions to issues faced by the African private sector. The aim is to support growth and to enhance the abilities of businesses in Africa with an ultimate aim of strengthening the economy.